The recently rebranded Scott Group, has announced the acquisition of Wolverhampton-based pallet business, Ellis Pallets (W’ton) Ltd. The single site operation, which specialises in reconditioned pallets, as well as new pallets and timber case manufacturing, was sold by owner and founder Peter Ellis who will be retiring later this year along with his brother Robert Ellis and Trevor Griffiths who as a team have built the well respected, successful business over the past 40 years. Alan Gibson, Managing Director at Scott Pallets said: “We’re delighted to have the opportunity to take on this fantastic business, and aim to continue building on the success of the team at Ellis Pallets. 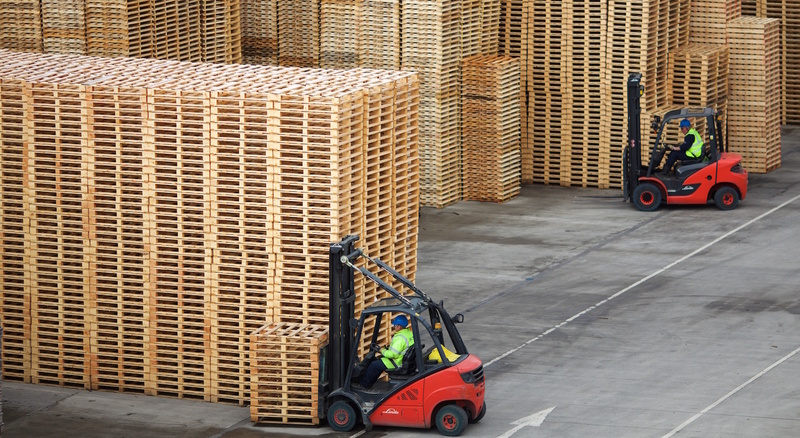 All ten employees at Ellis Pallets will be retained as members of staff, and will be integral to the Scott Group’s plans for growth and investment on the site. The Scott Group has grown considerably over the past 20 years through numerous strategic acquisitions and organic growth across the UK and in to Europe to become the UK’s market leading and largest pallet supplier, the fastest growing packaging provider and a leading supplier of essential trade supplies such as tools, work wear and corporate clothing. Most recently the Group launched a commercial insurance service under the Scott Direct brand. The Scott Group was founded in 1987 and today employs over 1000 people UK-wide. The business is committed to ensuring customers are at the forefront of the latest industry developments and thrives on finding the most effective solutions for customers with the aims of providing quality products and a professional, straight-talking service at a competitive price.